Get in the winter spirit with us and listen to some of your favorite holiday classics. 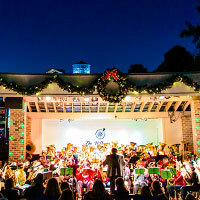 Every Wednesday this December enjoy our Holiday edition of the Wednesday Night Concert Series. 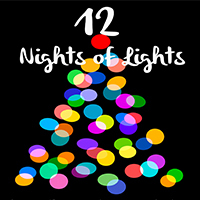 Each concert will feature a festive choreographed light show and visits with Santa. This December enjoy a festive light show every Wednesday, Friday, and Saturday leading up to Christmas! This sparkling event will also be featured during our special holiday edition of the Wednesday Night Concert Series. Watch three dazzling shows on the Village tree at 6pm, 7pm, and 8pm. You don't want to miss The Village of Baytowne Wharf's end-of-the-year celebration! 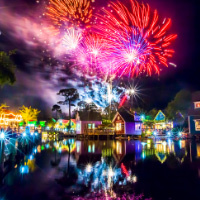 Enjoy our family friendly evening from 6-8pm with face painting, kids activities, and LIVE music on the Baytowne LIVE stage, finishing off with a fireworks display at 8pm. Ring in the New Year with an evening to remember, with two breathtaking fireworks displays at 8pm & midnight. Dance the night away with LIVE music until 1am, featured on the Events Plaza Stage.